The Clinton Industries Vanguard Series Bayside Max Weight Rack is a medical storage device designed to store and hold up to 48 cuff weights, 22 dumbbells and 6 rolls of exercise bands. 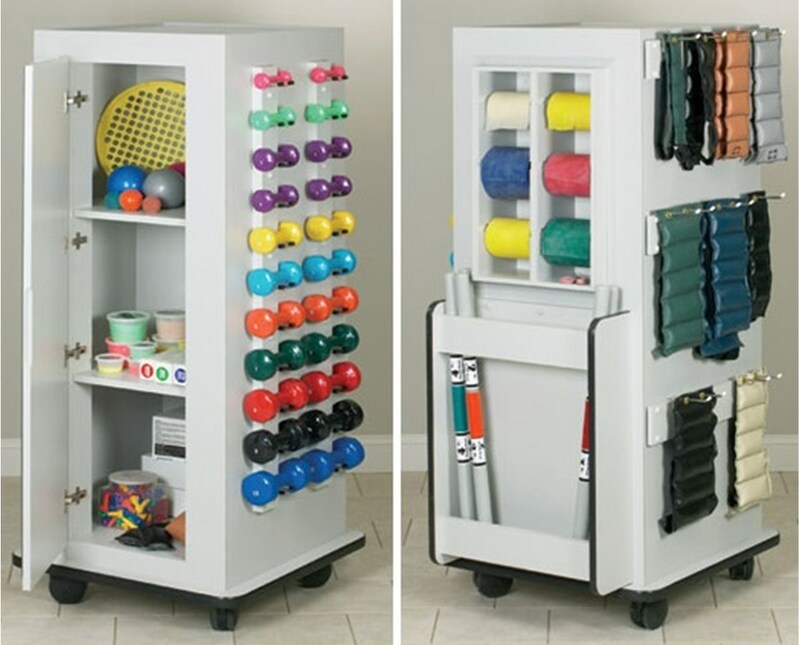 With its 6 independent, quick-change positions, the Bayside Max Weight Rack provides the user with the choice on how to store or hold the 50-yard, hollow core center only exercise band and/or tubing. Awesome Design. With its form factor, the Bayside Max Weight Rack with Mirror requires minimum floor space requirement yet has a large interior space making it a great choice for any physical therapy and rehabilitation facility. The weight rack's base is covered with a protective bumper molding for damage prevention when being moved and strong polycarbonate dumbbell rods that are angled for increased stability. 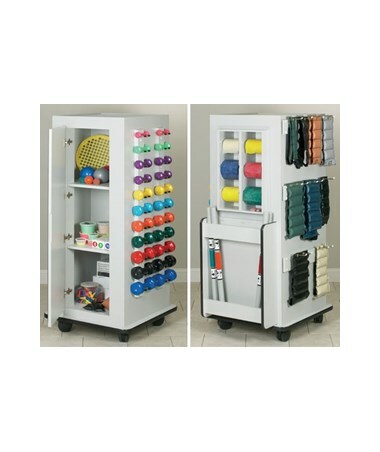 The top of the weight rack has raised edges for extra storage space and the 4" swivel casters, with 2 that lock, are made for hassle-free movement throughout the facility. The weight rack has a choice to have a full-length mirror that has polished edges and an ANSI safety backing.